JPG is one of the committee for making standards for the images. JPG can be abbreviated as joint photographic expert group; they are the members who frame formats for many image devices used widely. The digital camera’s picture format is decided by this group alone. The main advantage of the JPG format is it allows editing the image without quality loss. In some situation we can have the text in the form of images, in these cases; we must convert it to the textual format in order to use them. This article will give you a keen knowledge to convert the JPG file to a PDF file which is a textual file. 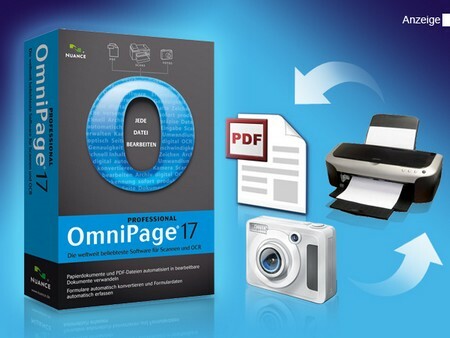 Download the software “OmniPage 17” from the internet. If the trail version is available for free means then download it, it’s enough for the conversion. Usually the trail version of the software will have the needed features of the software for certain period of time. You can upgrade to the full version based on your need. Also have PDF reader software such as adobe reader for viewing the converted file. Now install the “OmniPage 17” in your personal computer and run it. Click the start menu and select the “PDF convertor assistant” from the “ScanSoft PDF convertor”. This will initiate the software. ScanSoft PDF convertor will run now, in this choose the option as “ScanSoft PDF create”. This is the option used to create the PDF from the JPG file. Once you click on the “ScanSoft PDF create”, it will open an interface, which will show you the available JPG files in your computer. Choose the needed files and click on the “ok” button. Now you have half done the work, it’s your time to confirm the source and destination paths. The source path is already specified in the last step itself. Just check it again. Now click on the “preview” from the drop down menu available in the software. This will opens you a “files to” and “save as” options. The first one is for the source files, select the source file and add them here. The second one is used to give the target path of the converted file, select the target path for the PDF file. Now go to the “spreadsheet” options available in the software and set the label. All the required process is done; it’s your turn to initiate the converting process. The basic setting is necessary things to do before the converting process. Now click on the “convert” button available in the software, this will make the conversion. Once the conversion is done, the output file is saved in the destination path specified. Go to the target path open the PDF file, now the image is transformed to text.